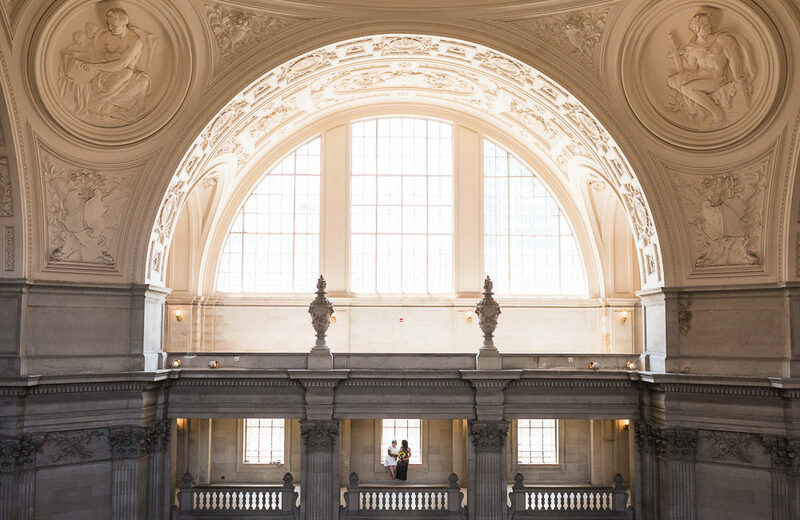 Ever since the first time I stepped foot in San Francisco’s City Hall, I knew I wanted to photograph a wedding there. The architecture is just so grand and classic, it seems much more like a wedding venue than a government building. In the past few months, I’ve had the opportunity to photograph a couple of weddings at City Hall. The first was Guinnevere and Elise’s. They are a super-fun couple who end up having a great time wherever they go. Even standing in line waiting for the judge to see them was full of jokes and laughter. Needless to say, their smiles and affection are completely authentic. The next was Jackie and Miguel. They have a pretty amazing story. They went to middle school together, but then ended up going to different high schools. Eventually, they became friends again on Facebook, started chatting and the rest is history. It turns out I’m a huge fan of City Hall weddings, so if you’re thinking of getting married there, please do get in touch! Juan and Rigo Got Engaged! Rachel and Ken Got Engaged!